Well, there have been heap loads of articles written about how water is good for you and how it is the life giving force of your body, etc. They are a 100% percent correct in what they have said. So, let us not go back to it. Instead, let us get to the golden rule that too much of anything can be bad for the health. Wait, is water a part of this rule? We were under the under the assumption that water can be had in any quantities and the more we have it-the more it is good for us! I was one of the many individuals who had assumed it too. Unfortunately, I couldn’t have been more wrong. Water is absolutely needed but too much of it in our systems can work out in a reverse way and is known to cause disruptions to our healthy life. While an average healthy person requires about 8 to 10 glasses of water per day, in many cases we over do it. Also, our water requirements depend on the type of body we have and in some cases our bodies actually require less water. Excess intake of water in such circumstances can lead to a condition called water intoxication. It also puts unnecessary burden and pressure on our systems. It is always safe to know your water requirements before you consume them in many cases. Let us look at few instances and side effects which are caused generally by consuming too much water. The major purpose of your heart is to pump out the life giving blood to every corner of your body. Excess intake of water can increase the blood volume level in the bodies. This puts up an extra pressure on your heart to pump up more blood. In the long term, these can lead to a spike in blood pressure and can increase the chances of strokes and heart ailments. Drink water only to the needed quantities and have a liberal gap in between your water intake for the day. It is true that water is needed in good quantities for the proper- robust functioning of your cells. But consume too much water and you may be indirectly changing the course of events. When you intake more water than needed, the excess water gets stored in the blood which reduces their electrolytes. In order to maintain this, blood discards the additional water contents to your cells, causing them to swell. This hampers the normal functionalities of your cell and can lead to intoxication. Also, too much water content in your cells can also be life threatening. Metabolism of the foods we eat happens in the liver and too much water content in it can cause damages to your liver functionalities. 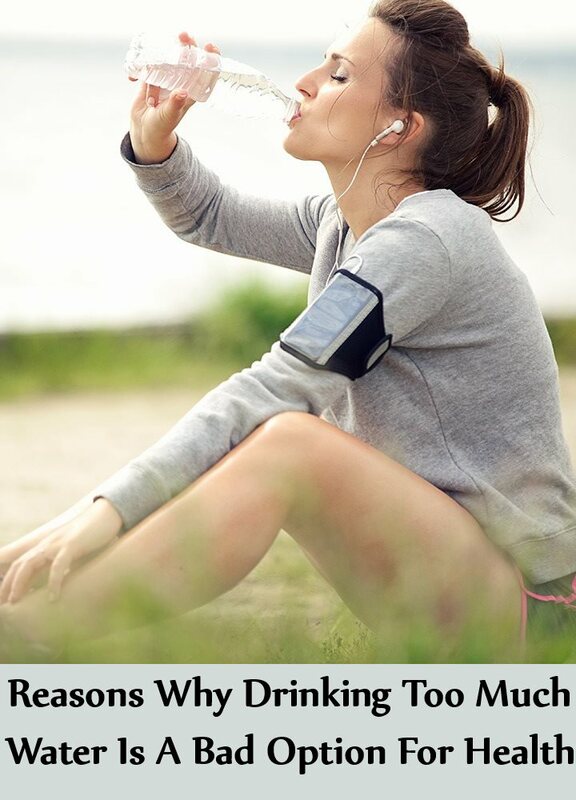 This is especially truer when the water you drink has more iron content in it. Too much iron in the liver is not good in the long run and can cause abrupt changes in your metabolism. Though this condition does not always occur, it is safe to take note of it. This is the most basic condition that occurs when you intake water in excess. Your body has a level by which it can take the nutrients and release the waste through urination. Drinking water more than needed can lead to frequent urination. Also, this puts an unwanted burden on your kidneys in the long run. Your body is designed to handle such frequent urination symptoms for a short period of time. A long term sign like this can be more damaging to your system than you have thought of. We do treat our water through many channels before we drink it and unfortunately, one of the processes involves chlorination of water to remove the bad particles. Chlorine intake has to be limited and excess drinking of water with chlorine can be hazardous. It is known to aid cancer and can even cause abrupt stoppages of organ functionalities. Limit your intake of water if they are treated with chlorine. This is a rare case that happens when you drink excess water and can be life threatening in certain instances. Your cells have been designed in a way to stretch out when it has too much water content in them. The same applies to the cells in our brain. However, the skull part of our body is strong and does not give room for any stretching. This causes brain edema and causes the brain cells to swell. This can result in respiratory issues, memory loss and may even lead to coma in certain instances. You may notice that when you drink too much water you could get a feeling of fullness and it could get associated with a pain. There is also another reason for it. Too much water intake dulls the electrolytes in your blood. This leads to frequent bouts of pain and irritation in the stomach. Also, in many cases, an excess water level in the body dissolves the potassium levels needed by your body. This can also lead to abdominal swelling and pain in your joints and leg region. Do have a consultation with your doctor about the levels of water needed by your body and maintain a healthy lifestyle. Never ever stop drinking water, but do know the water requirement of your body and intake accordingly.